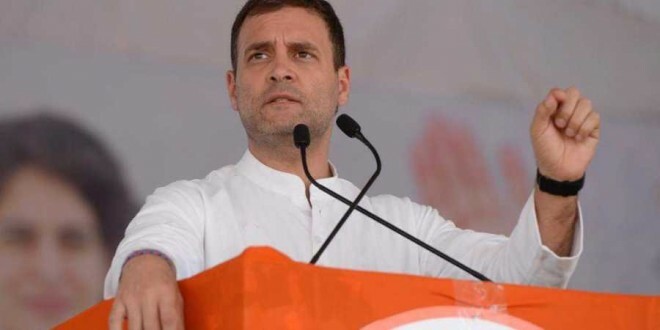 Coimbatore, Apr 07: CPI Sunday said Congress president Rahul Gandhi's contest in Wayanad Lok Sabha seat in Kerala against the party candidate was a "wrong decision" and denied any match fixing between Congress and the Left parties. "It is a wrong decision by Gandhi. It has sent a wrong signal among the people about the intention when both the Left parties and Congress were fighting against the BJP," CPI General secretary S Sudhakar Reddy told reporters here. "It is not correct. There is no match fixing by CPIM or other Left parties," Reddy said. The ruling LDF in Kerala has fielded CPI's P P Suneer in Wayanad while the BJP-led NDA named Thushar Vellappally, president of Bharath Dharma Jana Sena, for the seat. On the Kashmir issue, Reddy said it had been proved in the past 70 years that "no bullets and army can solve" it. The issue should be solved only through discussion, he added.